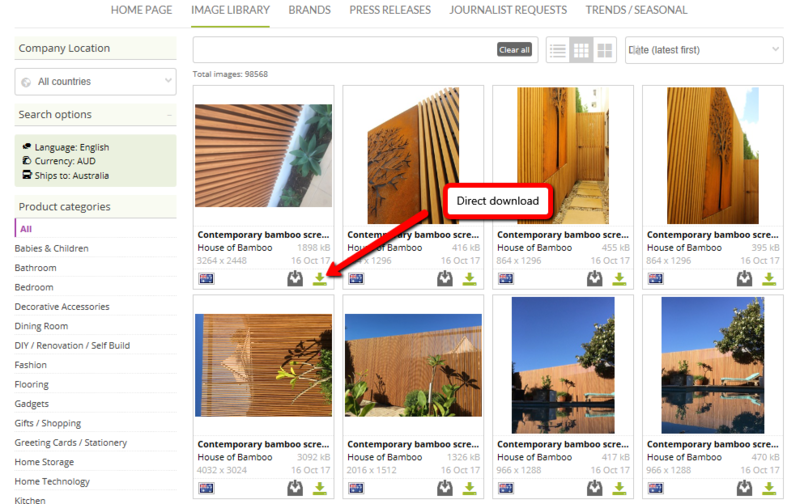 Once you have found an image you wish to use in your feature, there are 2 ways to download the image from Press Loft. Please note that you must be logged into your Press Loft account to download images. Download individual images straight to your computer. You will also receive a notification email including another copy of the image and caption information for crediting the image. Download multiple images at once by using the Basket toolbar on the bottom of your screen. 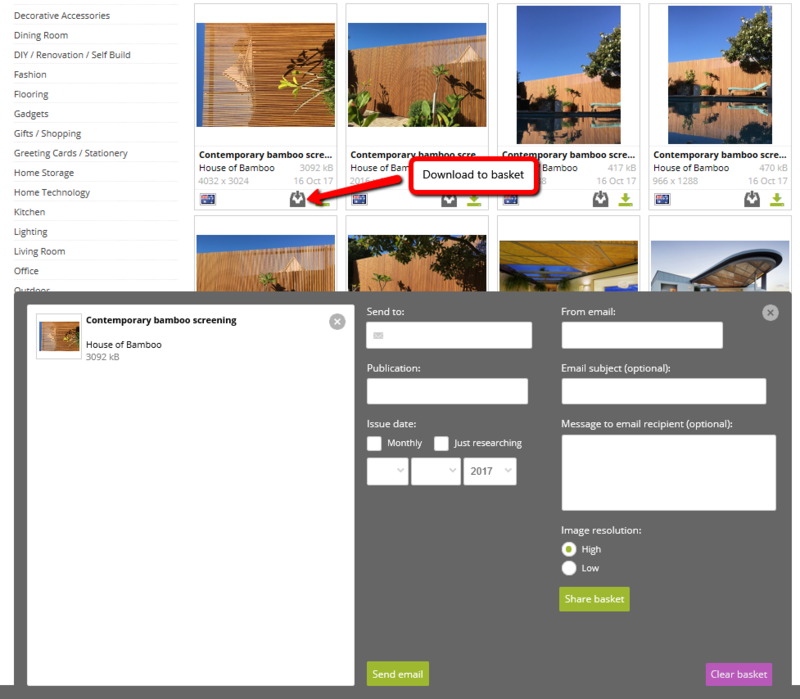 To add images simply select the Add to Basket icon on the image or drag and drop the image in the toolbar. You can select multiple images this way. Once you have selected all of your images you can then download by sending them to yourself via email. You will receive a copy of the image and all caption information to credit the images. Please note that when downloading multiple images, they will be sent in groups of 3 or 4 depending on file sizes. You can also opt to 'share' your basket; this will provide you with a link to a full bag of your selected images.